How do I enroll at Central Nine? All enrollment is done through each students school counselor. To enroll in a Central Nine program, start by identifying where you live. All enrollment is done through each student’s residential school district. Local District: Students attending a local school district, simply contact their specific high school counselor. See below for full list of partner high schools. Johnson County: Whiteland Community, Indian Creek, Center Grove, Franklin Community, and Greenwood High School. Marion County: Beech Grove, Franklin Central, Perry Meridian, and Southport High School. Central Nine likes to welcome as many students as possible. Students who attend private, charter, or home schools are welcome to attend Central Nine, but will need to enroll through one of our partner school districts as a part-time student. Individuals who are interested in learning more about this process should contact one of the Central Nine Student Service Coordinators. How much does Central Nine cost? Students are responsible for paying the Technology and Student Fee. Individual programs may require uniforms or supplies at the students expense. Students attend Central Nine either in the morning or afternoon session of every weekday. Some students drive from their High School to this campus but most use the bus transportation provided by their school. Do students need an ID? Every Central Nine student is required to display their assigned identification card at all times, especially when entering the building. Every student will need to go though an ID check to be able to enter. Students who have lost or forgotten their ID will receive a temporary one for the day. After three temporary ID’s have been issued, the student will receive ISS as a disciplinary action. Students and/or parents need to call Central Nine within a 24 hour period to report the absence so that the student is not marked as truant. If a student is absent they are required to call Central Nine as well as their high school. Reporting the absence to their high school does NOT mean they are excused from Central Nine. Please call 317-888-4401 ext 265 to report an absence. How can I report bullying or other suspicious activity? 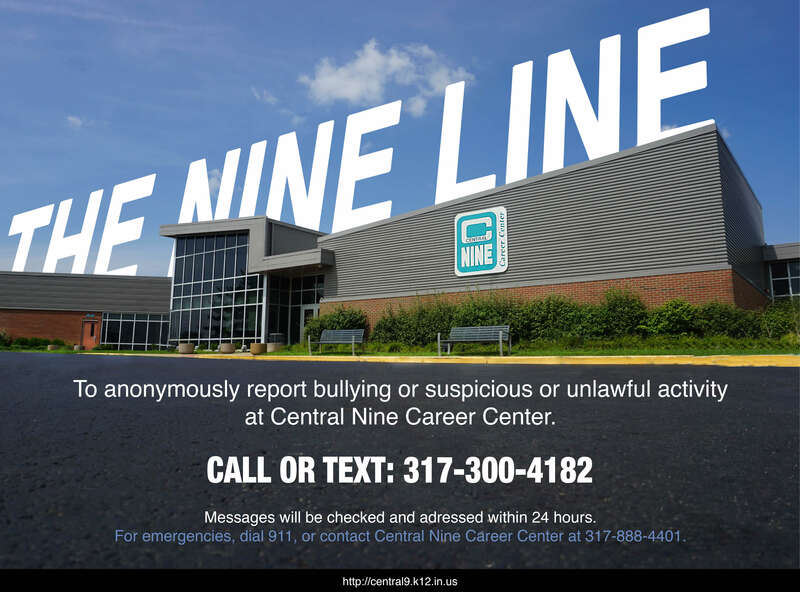 The Nine line is a way to anonymously report bullying or suspicious or unlawful activity at Central Nine Career Center. Messages will be checked and addressed within 24 hours. For emergencies, dial 911, or contact Central Nine Career Center at 317-888-4401. CTE is Career and Technical Education and Central Nine is proud of its dedication to high quality career and technical education! Check out the IDOE website for more information. The Indiana Association of Career & Technical Education Districts has released a new “I Am CTE” video to provide information to parents and students about the great opportunities students should take advantage of while in high school. For further questions, please feel free to contact your Johnson and Marion county Student Service Coordinators. 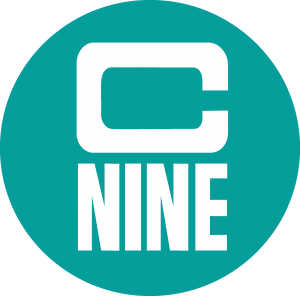 Central Nine is proud to provide it’s services to it’s nine schools in Johnson and Marion County!